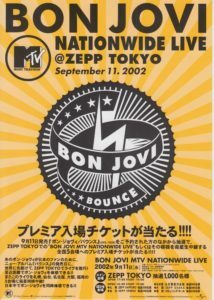 BON JOVI made an announcement flyer and posting postcard for all invitation live performed in Tokyo on September 11, 2002. 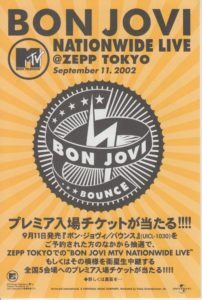 Album BOUNCE a mechanism to apply stamps to postcards at reservation stores at the time of booking and to apply. 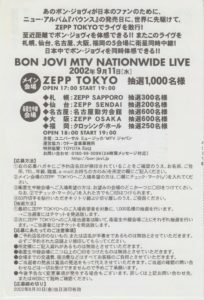 Since the image has already been submitted, it is cut off. 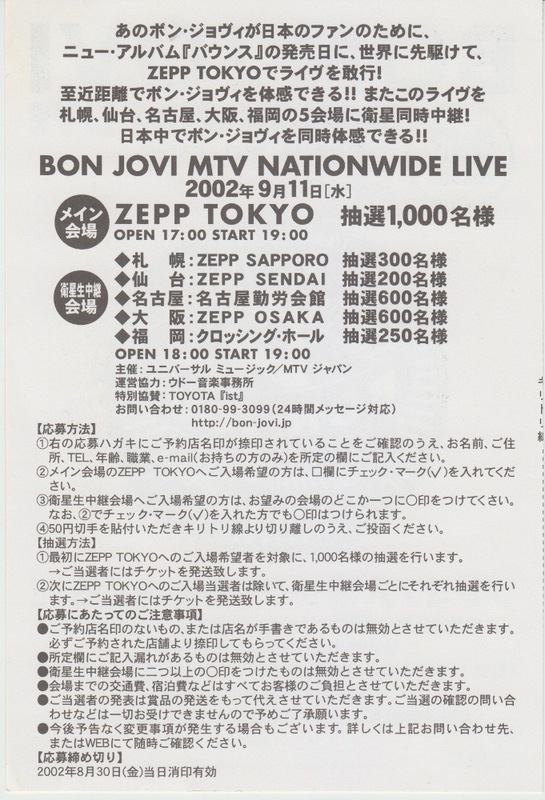 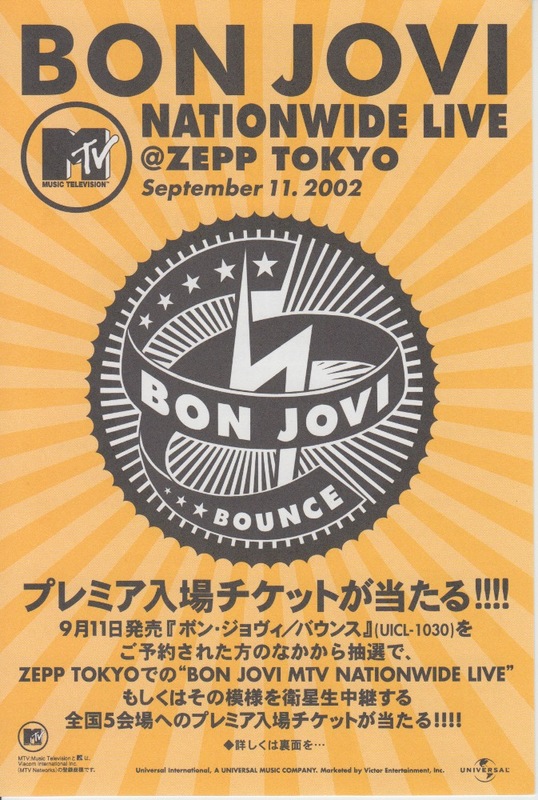 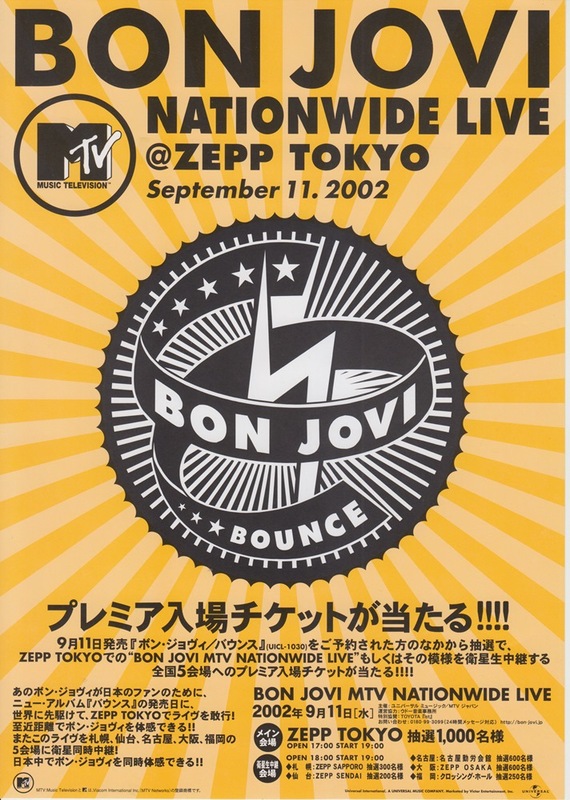 BON JOVI announced live announcement flyer of all invitations held in Tokyo on September 11, 2002.